It’s not any of these people, I know that much…. “The Tales of Zestiria (the X)” is primarily about Sorey and his friend Miklio going on adventures and trying to redress the imbalances caused by the influences of Dark Forces on Human souls in the world. 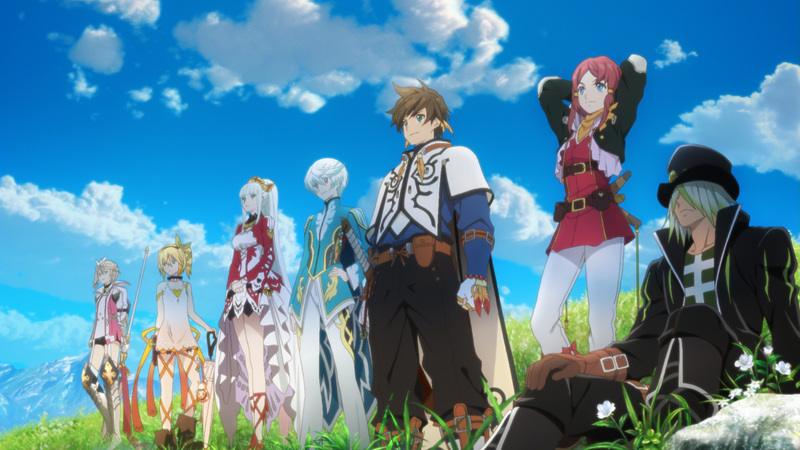 Along the way, Sorey has a King Arthur moment and becomes a near-messianic figure charged with cleansing bodies made impure by the evil spirits that have inhabited them. And then there’s Alisha…the REAL reason I enjoyed this show! While most other people we meet have a neutral or grim outlook on human beings in this show, Alisha becomes a kind of “light in the darkness.” Her greatest contribution to this series is her libertarian nature — outstanding, considering she’s a princess. While everyone else wants to start a war, she orders her army instead to stay defensive and only to fight if an enemy picks a fight with them first. While the other nobles and politicians selfishly stay safe behind the walls of the palace, she’s out there on the front lines risking her life with the men and women who serve her. She’s the kind of person voters keep hoping for when they vote on election days. There definitely needs to be a second season of this series, since there are still loose ends in Season 1 that could use some conclusion to. That’d be great! Robots, aliens, warships, and magical girls all meet in Arpeggio of Blue Steel! Basically, if KanColle and Strike Witches had a baby Arpeggio would be the result. The best aspects of robotic warcraft and magical girls from those two Anime are on display in Arpeggio; gynoids (“Mental Models”) control powerful alien vessels, known as the “Fleet of Fog,” that take the form of various 20th Century warships (mainly Japanese). The main character here is a starfish-loving loli gynoid named Iona, who controls the overridden Fog submarine taking the form of the Japanese I-401. Her “heel turn” isn’t revealed until the movie Cadenza, but upon making contact with Chihaya Gunzou — her only directive upon being slate-cleaned is to find and then unquestioningly obey this man — virtually every single Mental Model-driven Fog vessel who fights her either dies or does a heel turn themselves. 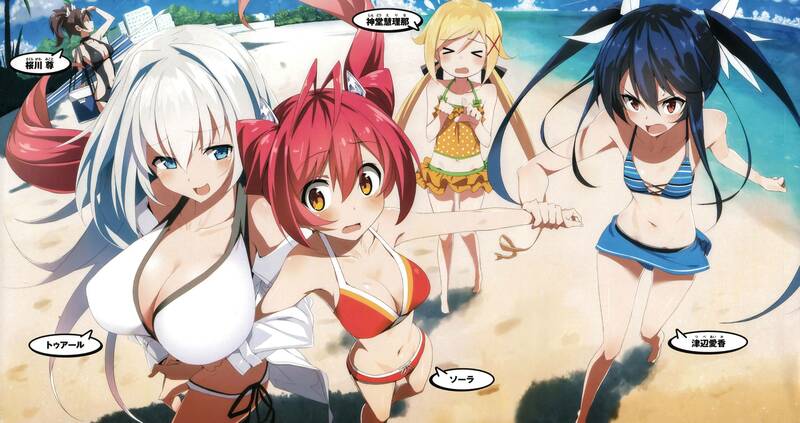 I’m glad to see that Iona and Gunzou both remind me a lot of similar protagonists from prior Spotlights: Hibiki and Genjuuro from Symphogear, Akane from Vividred, and Miyafuji from Strike Witches. They’d rather try to reach a mutual understanding with their foes, but will still take up arms and fight if they must. It’s no wonder so many Fog turned Good after facing the “Blue Steel” team! Also: Happy endings! Yay! One can only hope a second season is in the works here…. Slenka tech that hijacks hosts’ nervous systems and controls them like zombies. Just touching one is all it takes to get “infected.” They can self-replicate. Get a load of this Anime! “Weird” doesn’t begin to describe this show, yet still I enjoyed it immensely (not sure why…maybe because it’s so weird it’s hilarious). On the flip side, it certainly is unique: What other Anime has a male character that transforms into a little girl in order to fight invading reptilian monsters that have serious fetish problems, all in one show?! It’s still a Magical Girl Anime in the same vein as Sailor Moon and Strike Witches, but the similarities largely end there. It ain’t just the foes who are tapping into their inner, deepest lust for the sake of power; in order to power their respective “Tail Gear,” even the protagonists need to get cozy with their “attribute power” (a deep desire/lust for something, basically like a fetish). Not all attribute power is created equal, apparently, and the twintail hairstyle attribute, according to this show, is the most potent of them all — great news for Mitsuka Souji, the main protagonist! Not much in this series really makes any sense, but then again I’m sure it wasn’t meant to. You basically watch Ore Twintails for the same reason(s) you’d watch KonoSuba or Monster Musume…. Animehentaimagical girlnonsenseOre Twintail ni Narimasu! Anime shows starring a boy with a harem of magical girls is definitely nothing new, and it sure is nice that “Trinity Seven” takes a unique spin on the magical girl and harem tropes in Anime. Firstly, magic in “Trinity Seven” is portrayed as being the exact opposite of that which is “natural” and “logical.” Those that can wield magic, the Mages, do so according to a specific discipline — kinda like Science; however, Mages study their discipline’s inversion — with Science, when one studies a discipline like Biology that is exactly what they study. Magical disciplines are divided via the Seven Deadly Sins, so a Mage chooses a Sin that best suits them and then becomes everything that Sin isn’t. For example, Lilith, the red-head, is a Mage of Lust yet she is the farthest thing from lustful in “Trinity Seven”; indeed, she is actually one of two tsunderes in Arata’s harem. Speaking of tsunderes, Arata is actually fairly tsundere-proof. 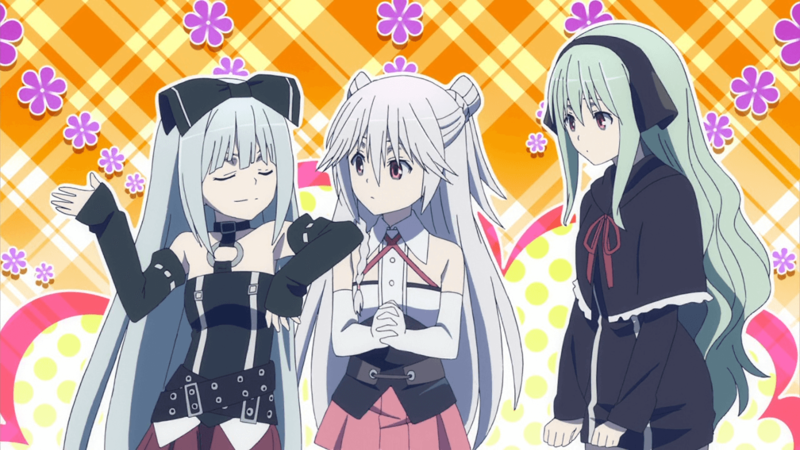 Appearances are deceiving in “Trinity Seven”; these three girls are in fact grimoires. Unlike boys in other Harem Anime, Arata is well aware of the harem he’s acquiring as he keeps on his quest to get Hijiri back. Meanwhile, he discovers he’s pretty-much Satan’s left-hand man and he’s actually meant to use the Trinity Seven to destroy the World and remake it anew again. Thanks in part to Hijiri, though, all Arata wants to do is control all magic in the Universe so that he can return her to Earth and keep his new friends safe. Because Mages gain the most of their magic when they’re irrational, it makes sense that “Trinity Seven’s” plot also be irrational. Characters flip sides on a whim, and they sometimes do things that make absolutely zero logical sense in the scheme of things. The rest is best left to watching the show itself. The first season is also dubbed! The Gatebuilders’ “Gateway” — now with friends! >The “standard” Gateway teleports people from one area to another, and even from world to world. >The “stellar” Gateway teleports spacecraft from one world and/or star system to another. >The “universal” Gateway can teleport people and ships from any area, world, or system to any area/world/system located in another universe.